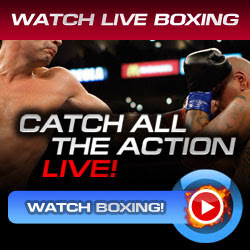 Watch Julio Cesar Chavez Jr. vs Sebastian Zbik Live for the WBC Middleweight Championship of the World on June 4, 2011 at Staples Center, Los Angeles in California. Watchout Sebastian Zbik for defending his newly World Boxing Council Middleweight Title Crown against the undefeated Mexican boxer Julio Cesar Chavez Jr., the son of the legendary Julio Cesar Chavez Sr.
Julio Cesar Chavez Jr. was successfully defended his World Boxing Council Silver Middleweight Title against Billy Lyell on last January 29, 2011 via unanimous decision victory. On June 4, Chavez will put to a challenge against middleweight champion Sebastian Zbik of Germany. Sebastian Zbik was the Interim WBC Middleweight Champion before then he promoted to have the World Boxing Council Middleweight Title Crown. Don't miss to watch the upcoming fight of two middleweight champion on June 4, 2011 live from Staples Center in Los Angeles, California.